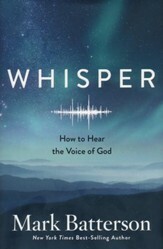 Winner of the 2018 Christian Book Award for Bible of the Year! 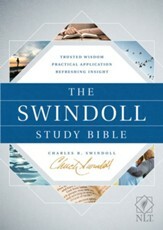 The NLT Swindoll Study Bible offers the best of Chuck Swindoll's wit, charm, pastoral insight, and knowledge in the study of God's Word. 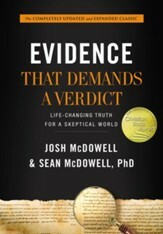 Informed, practical insights get straight to the heart of the Bible's message for the world today. Reading each part of this study Bible is like hearing Chuck speak God's Word directly to your heart. 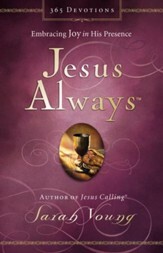 It will both encourage readers' faith and draw them deeper into the study of God's Word. Free Swindoll Study Bible App- for iOS & Android. See users guide pg A9 for details. Many said the 500-mile Camino de Santiago would be impossible in a wheelchair. But best friends Justin and Patrick wouldn't give up. Their six-week trek with its physical challenges, colorful characters, and deep inner battles, would prove to be the most difficult and important journey either of them would ever take. 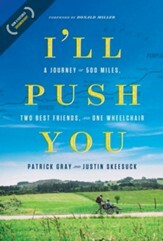 I'll Push You is the real-life story of their incredible pilgrimage--and the friendship that carried them through. 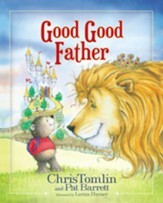 In Good Good Father by Chris Tomlin and Pat Barrett, Tucker is a little bear whose town is in trouble. Tucker seeks help from the King, and plans to bring Him a perfect gift. Along the way he encounters a variety of delightful and funny animals who each know one great thing about the King, but each of the animals has a different view of what makes Him so great. The advice confuses Tucker and he is still unsure of what to give as a gift. What if the King doesn't have time for him and what if He won't help? Just as Tucker is about to give up, the King runs to him offering love, acceptance, and help. A wonderfully illustrated story for young children ages 4 to 8 years, assuring them that God truly is a good, good Father and that they are all loved by Him. 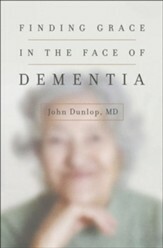 A diagnosis of dementia in a loved one can be both frightening and frustrating. Only a biblical foundation fuels a Christian response that both honors the patient and glorifies God. Drawing on years of professional experience working with Alzheimer's patients, Dr. John Dunlop wants to transform the way we think about dementia. 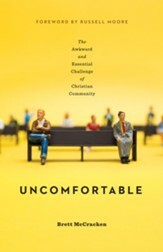 Rooting his vision of care in the inherent dignity that stems from the fact that all people are made in the image of God, he explains biblical principles, describes the experience of dementia, and answers common questions about the condition. 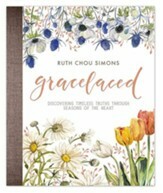 With a plan for how to care for patients with compassion and respect, Finding Grace in the Face of Dementia helps caregivers, family members, and anyone else affected by dementia honor God as they improve the quality of care to patients. It is imperative for 21st-century American Christians to constructively respond to racism. 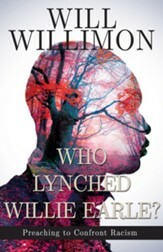 As a jumping-off point, Willimon retells the story of Pastor Hawley Lynn March's 1947 sermon about a lynching in Greenville, South Carolina. We listen in on black pain, learn to name white complicity, and to critique American exceptionalism. 144 pages, softcover. Abingdon. As much as we'd like to see it, God doesn't always give us the big picture. Our faith journeys often feel more like we're picking up holy breadcrumbs on a long and winding trail. This isn't so different from what the Israelites experienced after being freed from the tyranny and monotony of Egypt. 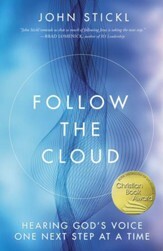 In Follow the Cloud, author and pastor John Stickl shares how God's invitation to follow can lead to a life of freedom. When we learn to love ourselves in order to love others, extend forgiveness so we can be forgiven, and develop an attitude of trust, moving forward one step at a time, we'll draw closer to who Jesus is and what we're created to do. What did Noah's ark really look like? Who was David and whom did he fight? What was daily life like in first-century Jerusalem? What about other ancient civilizations? Invite your curious 8- to 12-year-olds to dig into this kid-friendly, photo-packed resource and find out. Even reluctant readers will be captivated! 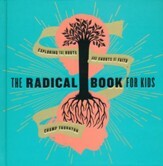 The Radical Book for Kids by Champ Thornton is a vibrantly-illustrated introduction to the roots of your child's faith, including biblical history, theology, fun facts, and encouragements to live out their faith. 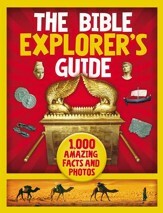 This book will take children deep into the ancient roots and origins of the Christian faith. Because as children grow up, they should also grow down---letting the Bible sink its roots deep into their lives. Today the word "radical" also means "extreme, drastic, revolutionary." And this book is radical in that sense too! Children will read about men and women who learned to trust Jesus and stand for him even when everything seemed against them. How did they do it? Radical faith. But there is more---while children explore and grow in their radical faith, they will also find that this book is radical---"excellent, cool"---fun. Recommended for ages 8 to 13 years.